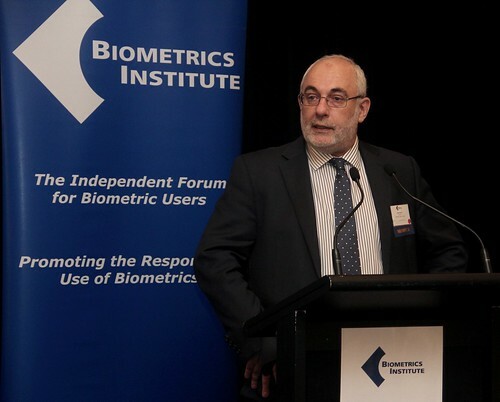 I always have a lovely time in Sydney, one of my favourite places in the whole world, and I had a particularly lovely time down there last month at the Biometrics Institute Asia-Pacific conference at their invitation. I was asked there to talk about biometric authentication for digital identities, but most of the other talks were about biometric identification. These included a superb talk by Patrick Nemeth, Director of the Identity Operations Division, Office of Biometric Identity Management (OBIM) at the Department of Homeland Security (DHS), who was talking about the practicalities of their work and their plans for the future. Patrick mentioned in passing that in future they will start storing DNA, not for identification but for the purpose of “familial matching”. So if somebody turns up at an airport with a child and claims to be a parent or sibling, the new technology means that it will only take around two hours to determine whether there is a familial match, which I thought was pretty cool. I could not, however, resist the mischief of pointing out that in the UK, around one in 25 children are not related to their presumed biological father. In the US it is approximately around one in 20 and according to some web reports that I found, in some parts of Florida it is supposedly a third! You can just imagine the embarrassment of JFK can’t you? When you filled in that customs form? Oh well. Interestingly, and more relevantly, Patrick said that OBIM would not be going any further with fingerprint technology would be exploring voice recognition for immigration services and face recognition at points of entry. This technology used to be absolutely hopeless, but I am sure that it has improved considerably. FindFace, an app launched by a Russian startup two months ago, lets its users identify strangers from pictures of their faces. It does so by matching the photos against profile pictures from VK—also known as VKontakte—a Russian social networking website similar to Facebook. The genie is well and truly out of this bottle and I can only see two long-term outcomes. Either we become socially attuned to tracking at all times in all non-private spaces or we become socially attuned to hiding our faces using some form of burkha. In fact, burkhas might become the norm in public places because the biometrics guys are not just trying to do face recognition, there are also looking at body recognition (there was a very good presentation about this as well, by the way). How life will change! It will be a quasi religious experience I suppose when you only take off the burkha and reveal your face when at home and in the company of family or close friends. It looks as if my plan to make my fortune by manufacturing Facebook-blue burkhas in a variety of sizes is looking better all the time.